A foreign policy think tank may not be what first comes to mind when you think about things that help improve the world. However, co-founder Alan Mendoza of the Henry Jackson Society believes strongly in the power of the policy field to employ research and education in a way that makes a positive impact on the future of the world. 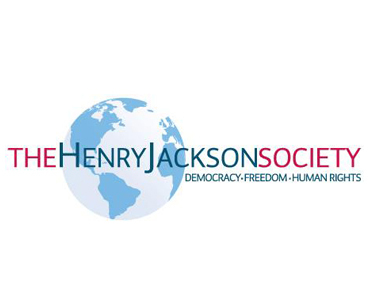 Based in London, The Henry Jackson Society (HJS) is such a think tank: one that analyzes global stress points and provides policy advice in order to promote liberal democracy and human rights, among other guiding principles. The HJS does not represent any specific political party or persuasion but provides a forum for those who agree with or wish to learn more about their guiding principles. Mendoza currently serves as the advisor to the Friends of the Henry Jackson Society Fund at CAFAmerica. Among many other advantages, this type of fund enables donors in the United States to make a tax-deductible donation of any amount to CAFAmerica with the recommendation for it to go to HJS. In the early 2000s, Mendoza felt that a trend of “narrowness” had begun to form within foreign/security policy in the UK and internationally. He believed that particular global events had undermined the values of liberal interventionism and humanitarianism and wanted to ensure that these values — which are, he emphasizes, so important to the promotion of universal human rights — could be advocated for at a government level. In following, Mendoza, who has both an academic and business background, co-founded the Henry Jackson Society as a way to bridge what he felt was “a gap in UK policy.” He believed that business, government and academia could work together to solve global problems–specifically promoting democratic values and human rights. The challenge in creating this type of platform, he states, is how to ensure consistency and growth while at the same time planning for the future, managing the present, and attempting to create the intellectual stimulus that can make a difference around the globe. This particular partnership is so valuable because the most important need for the HJS is financial contributions so that it can expand its activities to cover policy research and programming for the many areas of global instability seen in the world today. In this line of work, he explains, an investment in ideas can go a long way in terms of making a difference. Logo provided by Dr. Alan Mendoza.